Menthol is a popular additive in cigarettes, potentially making them more palatable, but its use in these products is currently unregulated. The FDA has issued an Advance Notice of Proposed Rulemaking (ANPRM) to gather information and input from the public on whether that should change and, if so, how. A preliminary peer-reviewed evaluation of the scientific literature initiated by the FDA’s Center for Tobacco Products compiled evidence that menthol in cigarettes affects public health by encouraging initiation and continued use of cigarettes especially by youth and some minority populations. More than 40% of youth who smoke use menthol cigarettes, and nearly a third of adult smokers smoke them. They are particularly popular among African American smokers. Evidence gathered thus far suggests that menthol in cigarettes does not affect consumers’ perception of smoking risks or make tobacco smoke more toxic. Rather it is linked to greater initiation of cigarette smoking and progression to regular use, to increased dependence, and to reduced success at quitting—particularly for African American smokers. The Family Smoking Prevention and Tobacco Control Act of 2009 gave the FDA authority to regulate tobacco products. Apart from the preliminary scientific evaluation already conducted, the FDA will consider comments from the public in response to its ANPRM when deciding whether to establish a tobacco product standard for menthol in cigarettes or establish restrictions on their sale or distribution. I encourage addiction researchers and anyone else with insight or opinions on this important subject to submit comments. Information on submitting, along with links to the FDA’s preliminary scientific evaluation of menthol cigarettes, may be found here. NIDA. "FDA calls for public input on regulating menthol in tobacco products." 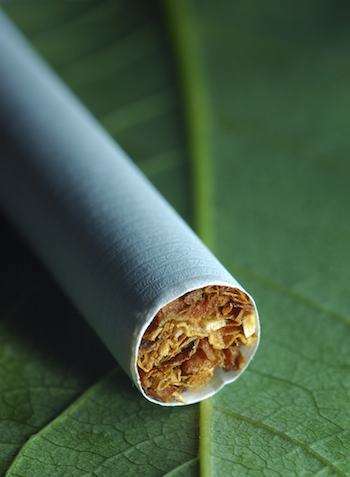 National Institute on Drug Abuse, 6 Aug. 2013, https://www.drugabuse.gov/about-nida/noras-blog/2013/08/fda-calls-public-input-regulating-menthol-in-tobacco-products. NIDA. FDA calls for public input on regulating menthol in tobacco products. National Institute on Drug Abuse website. https://www.drugabuse.gov/about-nida/noras-blog/2013/08/fda-calls-public-input-regulating-menthol-in-tobacco-products. August 6, 2013.